Often considered the most widespread crime of the 21st century, financial fraud is sweeping its way across the world as high-tech fraudsters instigate a disturbing collection of scams to pillage unsuspecting people's bank accounts. 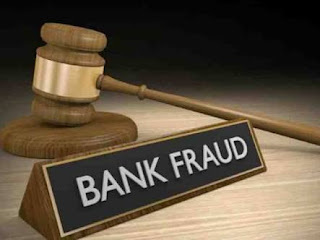 Too many people have found themselves victims of bank fraud. So, to decrease the chances of it ever happening to you, here are five steps to protect yourself against bank fraud. The rise of online banking has created new ways for hackers to commit bank fraud. In order to keep your accounts safe, when on the phone, sending emails, or entering details online, never disclose personal information unless you are confident you know who you are dealing with, and it is a reputable company or person. When you are on an unencrypted website or are sending an unencrypted email, never include personal information such as credit card details, as it won’t be secure. Too many people have the same passwords for every bank account (as well as cell phones, alarms, and the like). And, not only do they have the same code, but they also never change the PIN on their debit card or the password for their online banking transactions. Even if your bank account hasn't been jeopardized in the past, you should be updating your passwords at least twice a year. Think long and hard so that you don&#39;t use obvious choices and don&#39;t include names or dates that are easily guessable such as your birthday. So to take your first step towards protecting yourself against bank fraud and update your information this week! While you can (and should) take all the precautions necessary, the best thing you can do is to routinely oversee all of your accounts carefully for any signs of unauthorized fees, and to be on the lookout for any unusual transactions. You are not going to notice any scams or fraud schemes if you do not review your account statements with the precision necessary to identify fraud. Additionally, never consent to administer financial transactions on behalf of strangers. If you receive an email or phone call referring to your bank accounts, do not presume the person on the other end is honest — people are not always who they say they are. As mentioned above, overseeing your financial statements is vital. However, if someone has stolen your information to perform identity fraud and has taken out a loan or applied for credit cards in your name, then it most likely won't show up in your financial statements. For this reason, you need to request for your bank to do a credit check for you. Through this, you will be able to see what accounts have opened or closed based on your identifying information. To stay safe, request one every year or when you suspect something foul afoot. Otherwise, you may find yourself unable to apply for your own personal loan in UAE. As technology develops and fraudsters become more sophisticated, the scams that occur also evolve. Therefore, you need to keep abreast with the current typical tactics and signs of scams in-the- making. Websites such as Scambusters.org and Snopes.com track the newest scams and provide advice to help prevent them from happening to you. ● Fake tax/police scams: Receiving phone calls or text messages from people who insist you have broken the law or owe taxes. Often, they will tell you that you will be arrested if you don&#39;t pay a fine ASAP. Always ignore these messages and speak to your financial advisor or bank if you have questions. If you continue to get harassed, report these calls or emails to the police. ● False antivirus: Many people have fallen prey to bogus antivirus messages that often pop-up in your web browser. By telling you that your computer is infected, these messages instruct you to purchase and install an antivirus product immediately. Almost always fake, don't follow their instructions as they are often ill-disposed. By following these steps and remaining diligent with monitoring your online bank account in Dubai, you will massively decrease the chances of anything awful happening to your bank account and your hard-earned cash.